The University of Antwerp is a young, dynamic and forward‐thinking university. In 2018 it globally ranked 14th in the “Top 50 Universities Under 50 years”. It also appeared in the Reuters top 100 of most Europe’s most innovative universities (2018). Within the Faculty of Science, the University created the Department of Bioscience Engineering in 2006, recognizing a strong societal demand for research and education on applied biological sciences such as environmental technology. 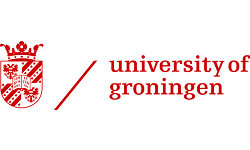 This department hosts the Research Group of Sustainable Energy, Air and Water Technology, founded in 2009, where prof. Siegfried Vlaeminck launched in 2015 a research team on microbial cleantech for a sustainable water cycle and food production chain (https://www.uantwerpen.be/en/staff/siegfried-vlaeminck/). With a sustainable circular and bio-based economy as goal, the team also focusses on regenerative life support systems, a necessity also for long-term human spaceflights. The specific PhD topic focusses on the development of an innovative technology for biological nitrogen conversion, including, but not limited to (partial) nitritation, anammox, nitratation and/or denitrification.The team is dynamic and international, embracing diversity, as witnessed from the synergetic collaboration of scientists from 8 countries (3 continents). And importantly, Antwerp is a vibrant historical human-scale city in the heart of Europe, with a rich offer of cultural and social activities. You prepare a doctoral thesis in the field of Bioscience engineering. 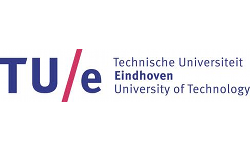 You contribute to teaching and research in the Research Group of Sustainable Energy, Air and Water Technology (https://www.uantwerpen.be/en/research-groups/sustainable-energy-air-water-tech/). You publish scientific articles related to the research project of the assignment, and present your results at scientific fora in Belgium and abroad. You apply for additional external research funding. You are passionate about environmental technology and microbial cleantech, and are highly motivated to obtain a PhD degree in this field. You hold a master degree in bioscience engineering, environmental engineering, (bio)chemical engineering or equivalent applied sciences. You have obtained your degree with very good and preferably excellent grades. Demonstrable laboratory experience in environmental microbiotechnology is a plus. You apply for external research funding, for instance targeting a doctoral grant strategic basic (SB) research at the Research Foundation Flanders (FWO). This implies that compliance with the eligibility criteria as stipulated by is a plus. You have outstanding oral and written communication skills in English, and communicate clearly and honestly. You are quality-oriented, conscientious and creative. You have excellent interpersonal skills to collaborate constructively and respectfully with scientific team members and BSc/MSc students. You have excellent skills for to manage your time and budget, and are able to meet objectives efficiently within strictly set deadlines. You are strong in working proactively and independently, with an outcome-focused mentality. You are willing to travel internationally for project meetings, conferences, workshops and/or research stays. a unique chance to make a difference, and personally contribute to the development of sustainable biotechnological answers to urgent societal challenges. Your application must be accompanied by a motivation letter showing point by point that your profile matches with each of the mentioned requirements for this position. The interviews of the candidates, preselected by a selection panel, will take place on January 15th, in the morning (local time in Belgium). For questions about the profile and the description of duties, please contact prof. Siegfried Vlaeminck, siegfried.vlaeminck uantwerpen.be.